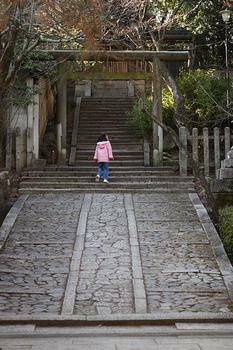 The Imamiya Shrine was built in 994 to appease gods and ward off the disease that was plaguing Heian-kyo (Kyoto). 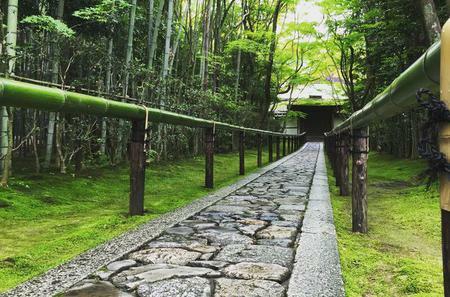 The Imamiya Shrine was built in 994 to appease gods and ward off the disease that was plaguing Heian-kyo (Kyoto). The current structure of the Shinto shrine dates back to 1902, and welcomes several visitors come to pray for good health and wellness. It is home to the healing rock ahokashisan. Near the shrine, the 2 restaurants Ichiwa and Kazariya selling aburimochi have been open since 1002 and 1656 respectively.